The U.S. 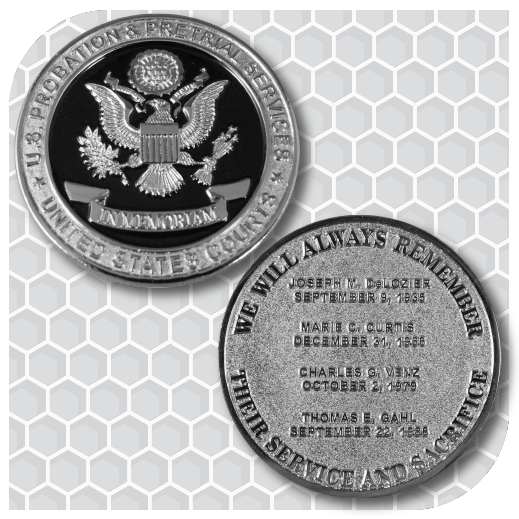 Probation & Pretrial Services Memorial Coin is 2″ in diameter struck from high quality brass and finished in bright nickel silver electroplate. 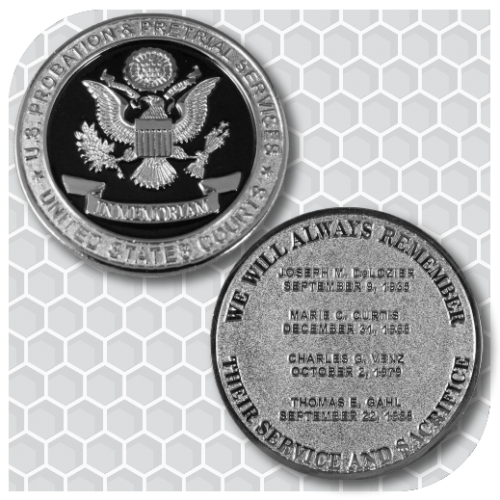 The front of the coin is emblazoned with the Great Seal Eagle with a black enamel background. The back of the coin include the names and dates of death of the U.S. Probation and Pretrial Services Officers and Clerk who have died in the line of duty. 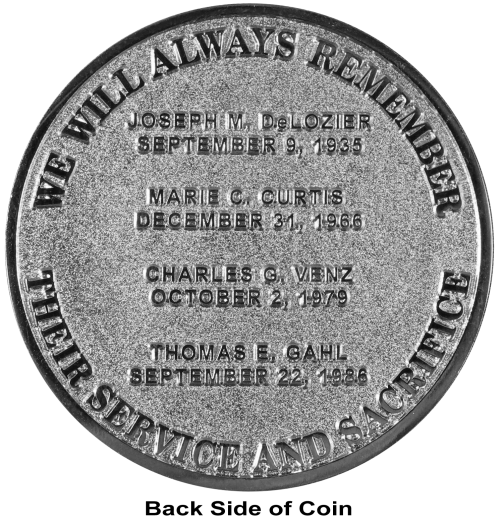 This Memorial coin was designed at the request of and with extensive involvement from members of U.S. 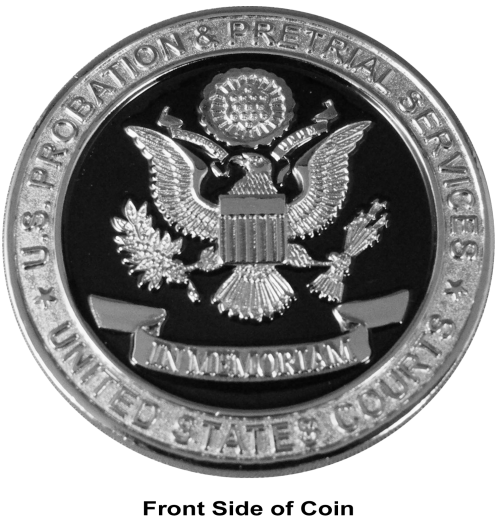 Probation and Pretrial Services to honor and remember those who have made the ultimate sacrifice in service to United States Probation & Pretrial Services. Coins are shipped within approximately 5 business days based on demand and finished stock availability.